The public might consider them nuisances, but in the commercial market, drones are valuable data collection devices. Their primary task is to capture, store, and transmit data. 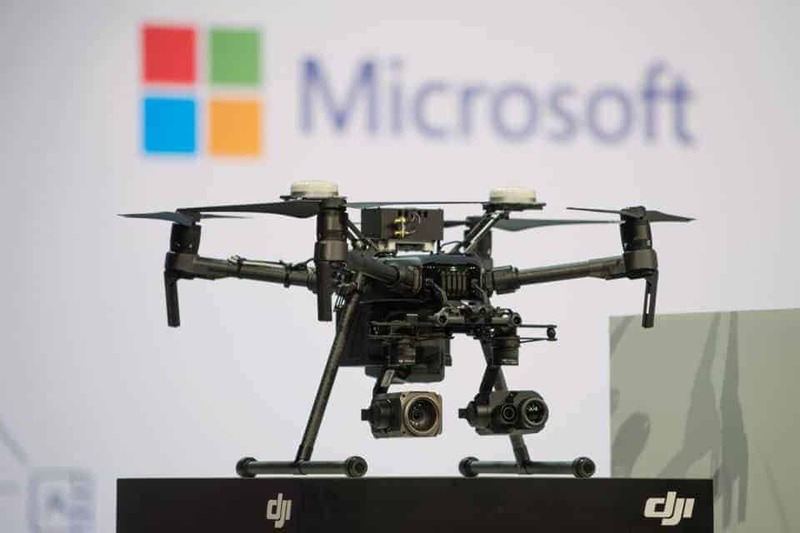 So as IT departments consider integrating more drone data into existing enterprise business processes, they face new data governance requirements. As drone technology matures, it is important to know what it means for you as the steward of your firm’s information technology and software. Up to now, the focus of commercial drone use has been on accurate data collection and visualization—not IT process integration. To be fair, applications have been developed to support verticals like agriculture, construction, energy, mining, and telecom with cloud-based services, but these applications mostly produce and serve up maps, e.g., location maps for managing and servicing company infrastructure and other assets. Just as with big data, the challenges of drone data include analysis, curation, search, sharing, storage, transfer, visualization, and information privacy. We are already beginning to see drones efficiently replace static IoT sensors with one device that is in motion and can capture multiple types of data (so not just pictures and video, but also emission gases, radio signals, geodetic data, etc.). Is drone data that unique? Like all IoT devices that are in motion, drones bring a lot of value and at the same time have a lot of challenges. For the most part, drone data is geospatial (or geographic data), imagery, videos, binaries, etc., so falls into the category of non-standard IoT data. However, if you work in IT, you’ll want to understand that this data has some unique requirements. F For example, it requires image recognition analysis and considerable transformation and data parsing to become useful. A lot—if not most—of the data collected from drones can be used by geographic information systems (GIS). GIS are mostly used for mapping and analyzing, and they integrate common database operations—such as query and statistical analysis—with visualization and geographic analysis. So, think mapping tools like esri’s ArcGIS. Traditional Master Data Management (MDM) to straighten out the differences in reference data like location, asset type, customer name, etc. An orthomosaic is an aerial photograph geometrically corrected (“orthorectified”) such that the scale is uniform: the photo has the same lack of distortion as a map. Typically, an orthomosaic is a composite of individual photos that have been stitched together to make a larger one. What you need to know is that the individual photos that make up orthomosaics each have their own georeference. The processed data (the composite) is what your end users want to use, but they may also want to know the location of the source data if it needs to be referenced later. Think about this in data governance terms. You may need to revisit your data retention rules if the source images are needed for evaluating changes over time. Thermography (sometimes referred to as thermal imaging) uses thermal video cameras to detect radiation in the long-infrared range of the electromagnetic spectrum. Building construction and maintenance technicians can see thermal signatures that indicate heat leaks in faulty thermal insulation and can use the results to improve the effectiveness of their work. Thermal mapping is also “a thing” with vendors like DroneDeploy, which offers live streaming views, and can either be an image or a map. Photogrammetry is a technique which uses photography to extract measurements of the environment. This is achieved through overlapping imagery, where the same feature can be seen from two perspectives. With photogrammetry, it is possible to calculate distance and volume measurements. Departments use these outputs to create “point clouds” or 3D images used to do things like render a building or measure the volume of a stockpile. LiDAR stands for “Light Detection and Ranging.” It is a remote sensing method that uses light in the form of a pulsed laser to measure ranges (variable distances) to the Earth. These light pulses—combined with other data recorded by the airborne system—generate precise, three-dimensional information about the shape of objects and their surface characteristics. The accuracy of LiDAR images is stunning (we’re talking millimeters), which is why surveyors and construction engineers favor this technology. What you need to know is that LiDAR files are big. Datasets for a simple project area can be 1-2 TB. Video is the most common and at the same time the most complex type of drone data. It’s complex because video is almost always stored in compressed form to reduce the file size for storage. A video file normally consists of a container format holding video data in a coding format alongside audio data in an audio coding format. Those are known as CODECs. The container format can also contain synchronization information and metadata such as GPS location and directional data, which can be encoded in each frame. 10 minutes of video at 30 frames per second = 18,000 frames. It’s complex because, when analyzing video data, you have to sort through all 18,000 pieces of frame data. So here’s the big data problem—it’s the analytics. Most of what you want to know from images and video files (What can I see? What is happening? What is the value?) cannot be extrapolated by the traditional enterprise big data vendors. While automation can exploit this data and increase analysis efficiency, image and video analysis is more often done by teams of specialists. For this, you may want to outsource to an AI vendor that specializes in imaging or use an online drone data service.